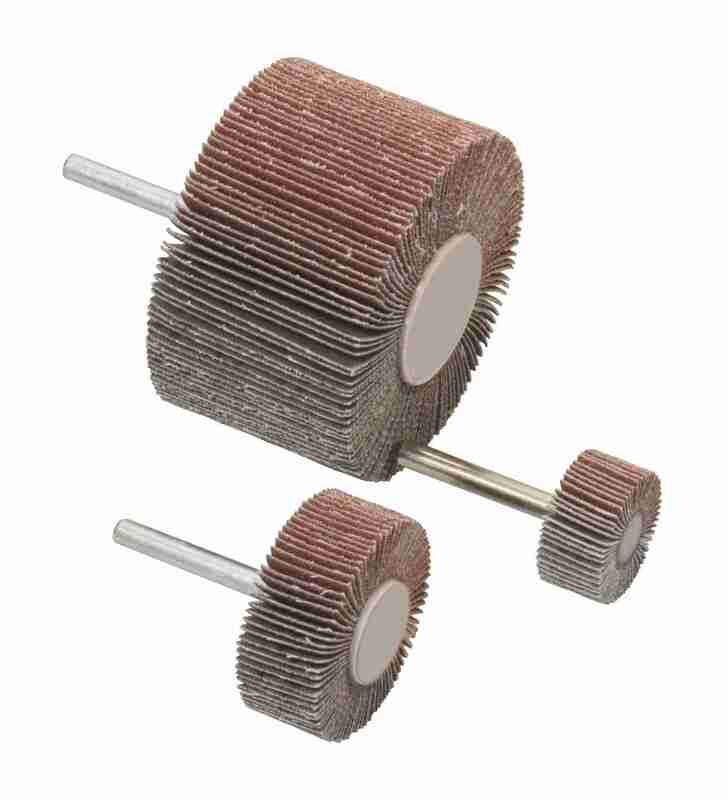 Flap wheel to fit standard angle grinders and metal finishing machines. Enables rapid powered sanding. 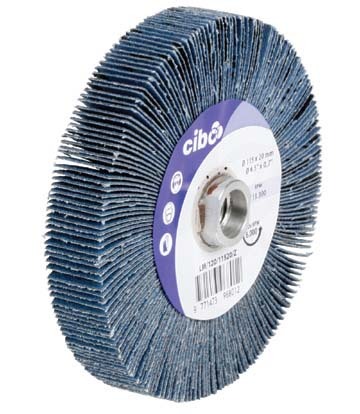 Spindle mounted flap wheels provide fast but gentle abrasive action. We stock sizes from 30 to 80mm dia in grades 40-120.